It's a Fab Friday and SSInk day! Today I have two posts for you. Yesterday I cleaned out our huge extra bedroom closet. It's a catch-all for everything we don't need. LOL I threw away 5 garbage bags of trash. I went by the thought of "if we haven't used it in 8 months, it's getting thrown away". Not sure how I will feel about that in a few months when I "need" one of those items though! Anyway, onto the good stuff! We have a sketch over at Fab Friday and I had fun playing with it! 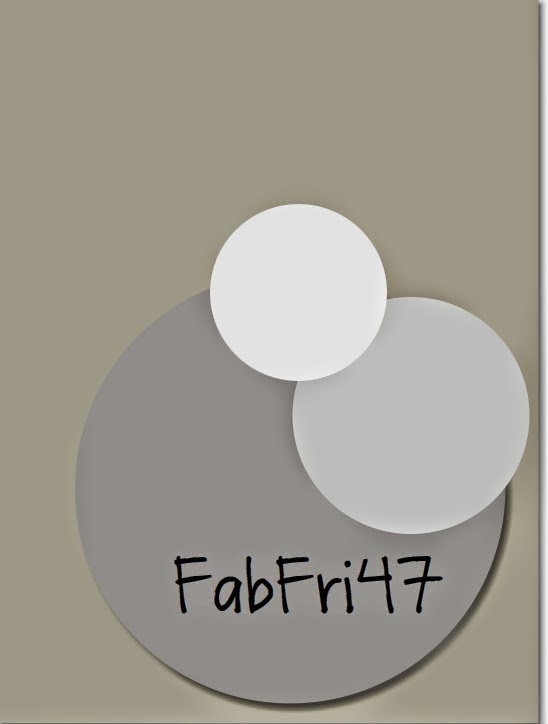 Click on the logo below to see creation from all of the Fab Friday designers! This card came from the need to use this stamp set. Have you ever been looking through your stamps and realized you haven't used a set in a long time? That's how I feel about this Happy Hour stamp set! I paired Melon Mambo, Rich Razzleberry and Smoky Slate together. Doesn't this look like a perfect card for your best friend's birthday? 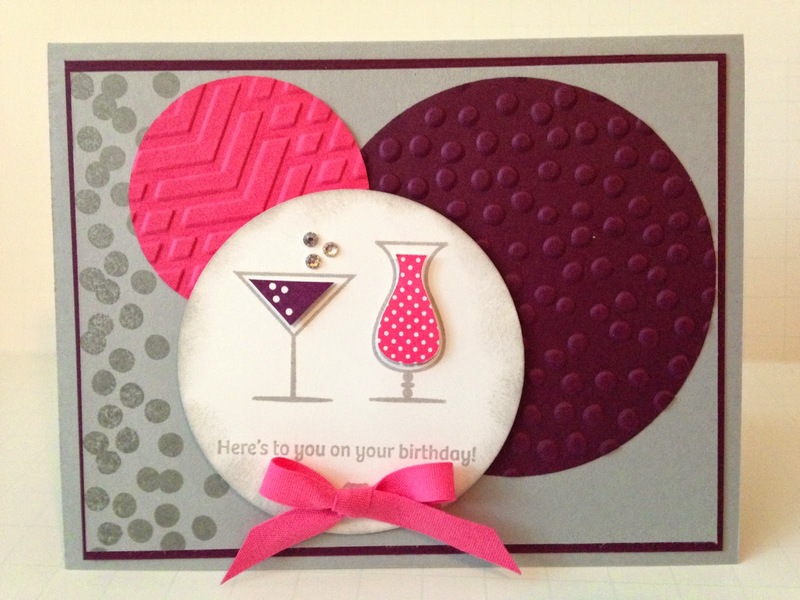 The second card is for Stylin' Stampin' INKspiration. 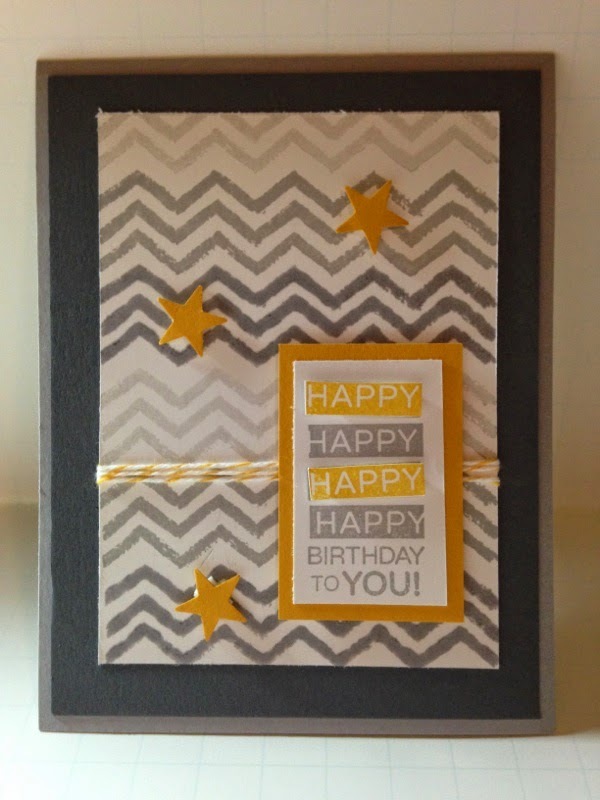 We are making "ombre" cards and I decided to use Work of Art with the chevron lines. Click on the logo above to go to our blog to see everyone's creations! I paired Crushed Curry, Smoky Slate and Basic Gray. I used Amazing Birthday for the sentiment. I stamped it in Smoky Slate first and then Crushed Curry second. I then cut out two of the "happy" in Crushed Curry. Are you wondering how I got three colors of gray? I first stamped the Basic Gray. I cleaned the stamp and inked up with Smoky Slate. I stamped the smoky slate (the medium shade) and then stamped again WITHOUT REINKING! I added some Crushed Curry twine and punched out stars. Viola! Perfect Ombre card! See you back here Monday for the color challenge with SSInk! I haven't used that set in forever either! I really like the brightly colored drinks! Definitely a girly b-day card! TFS!